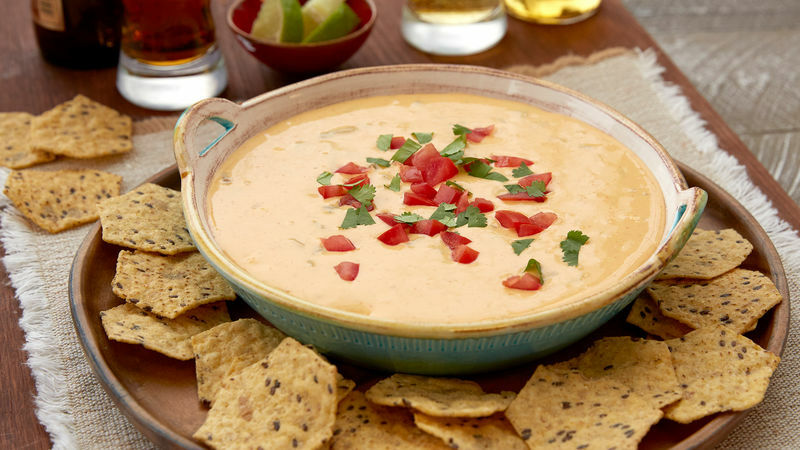 In 2-quart microwavable bowl, mix cheese, beer, green chiles, garlic and taco seasoning mix. Microwave uncovered on High 3 minutes; stir, then microwave 3 to 5 minutes longer or until mixture can be stirred smooth. We preferred the flavor of an amber lager for this recipe, but any Pilsner or lager will work.